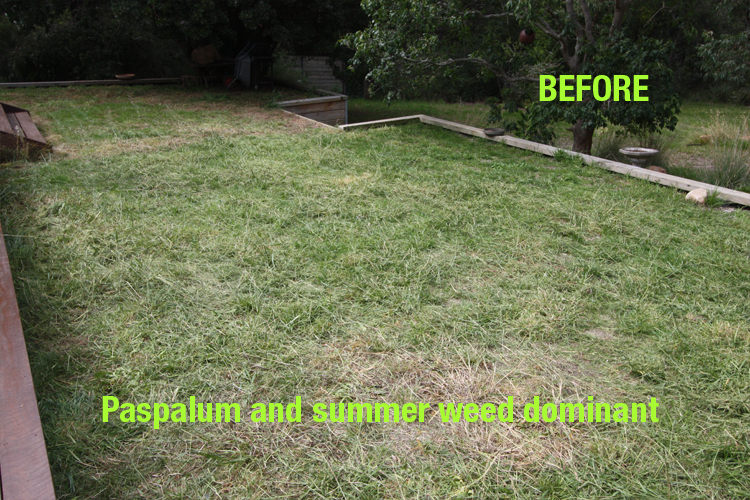 Before you discount lawn seed, consider the list of crucial steps laying instant turf. 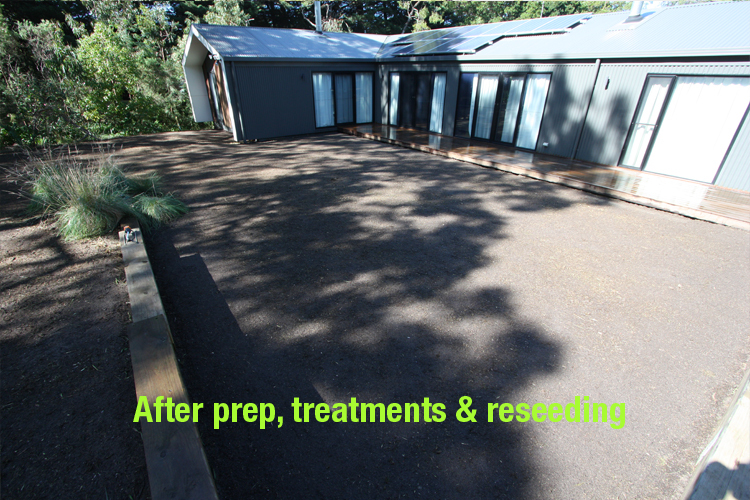 After all, instant turf can be an expensive exercise, you don’t want your new turf to die, deteriorate or become weed or disease infested, so you need to be diligent in getting the preparation right. 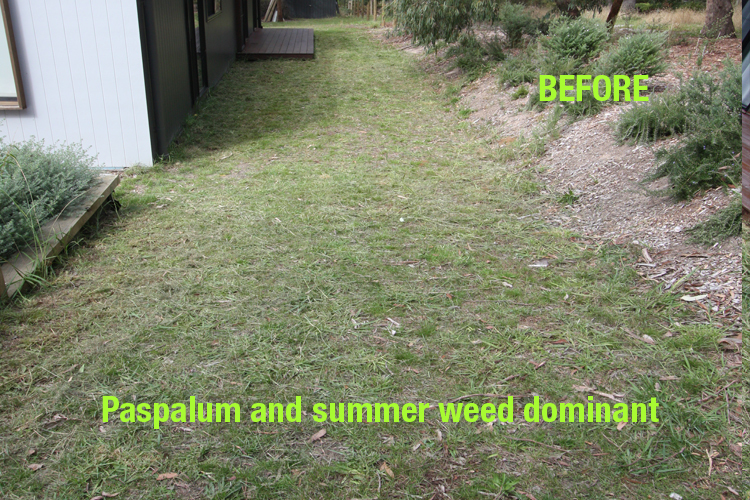 By the time your instant lawn is professionally laid and watered – it can be an expensive exercise costing thousands. Most householders realise that the cost of instant turf goes way beyond dollar per square metres Ex the turf farm. 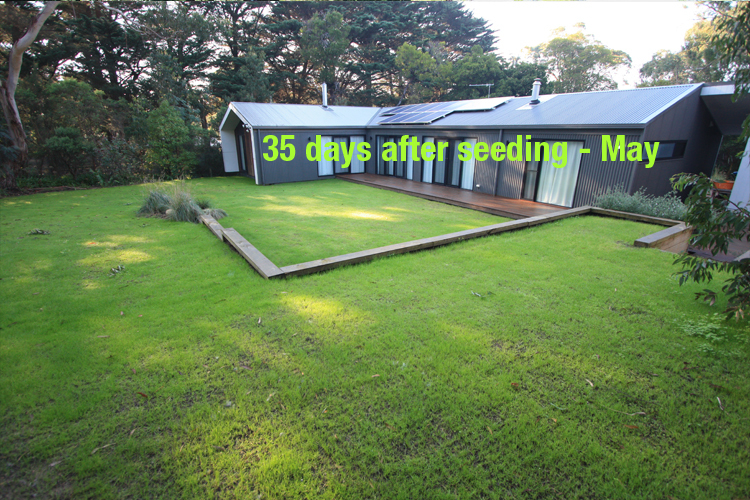 There are also substantial costs in soil and site preparation and laying turf – and if you are going to the trouble, then you really should be considering installing auto irrigation. 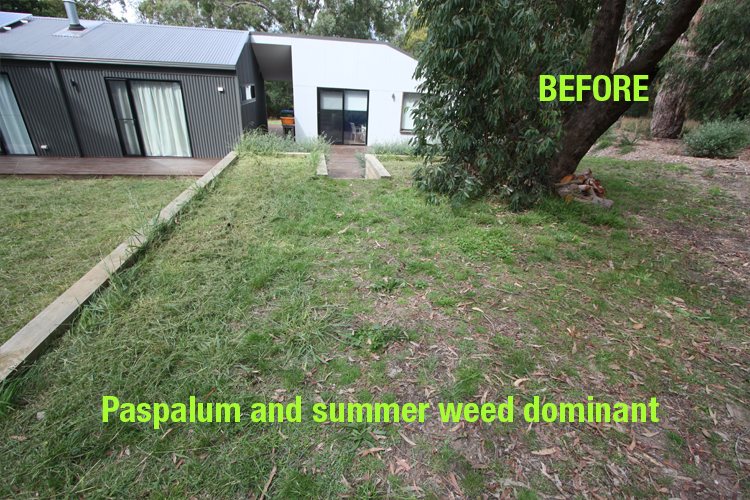 Realising now that laying instant turf can be a major expense, householders cancel the proposed home lawn renovation and move it to the backburner. 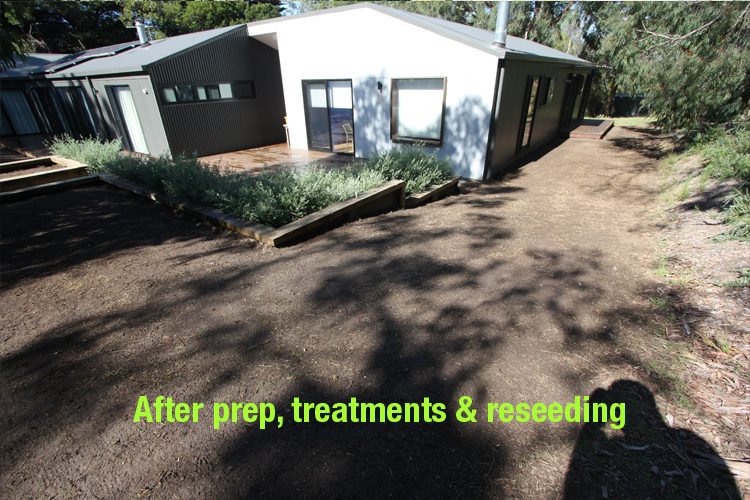 Lawn reseeding – Now that’s a good idea. 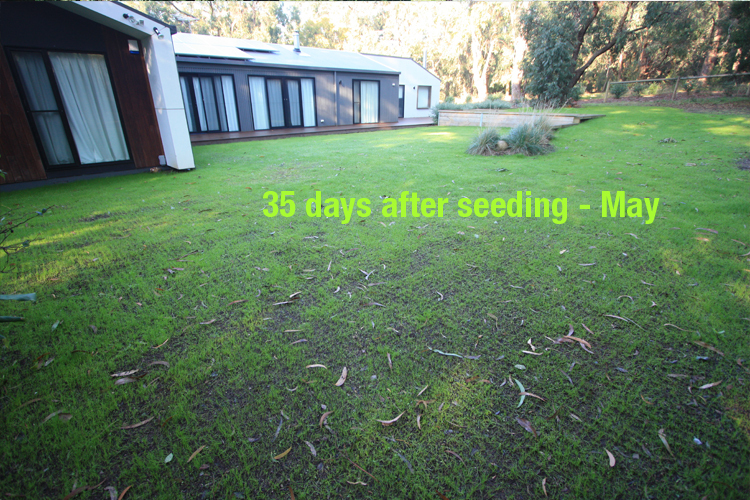 Lawn reseeding is the process of drilling lawn seed into and under dormant couch or kikuyu, or sprayed out or existing old lawn. 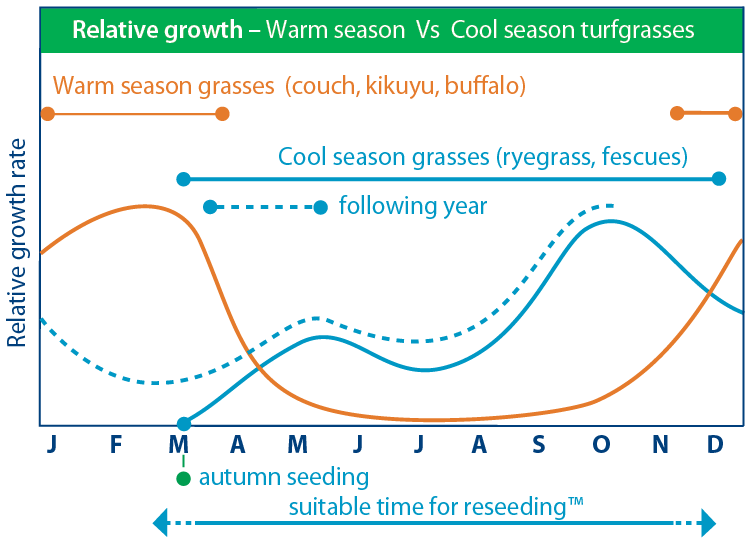 The main COOL SEASON lawn seed varieties are turf-type fine leaf perennial ryegrass, rhizomatous tall fescue and fine fescues. These grasses make a beautifully rich, vibrant colored, fine-leaf lawn with excellent cool season growth, wear and shade tolerance. Without soil moisture, their Achilles heel is tolerance to prolonged drought and extreme heat. 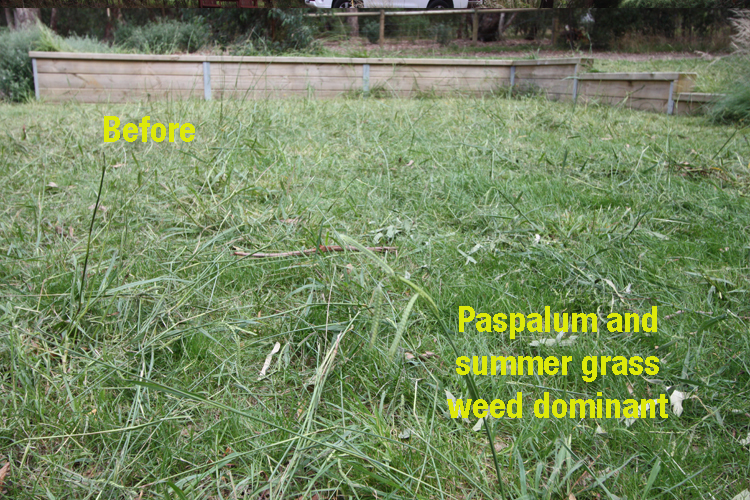 These perennial turfgrasses may persist 4-seasons with easy common sense care and are established from seed from early autumn to late spring. 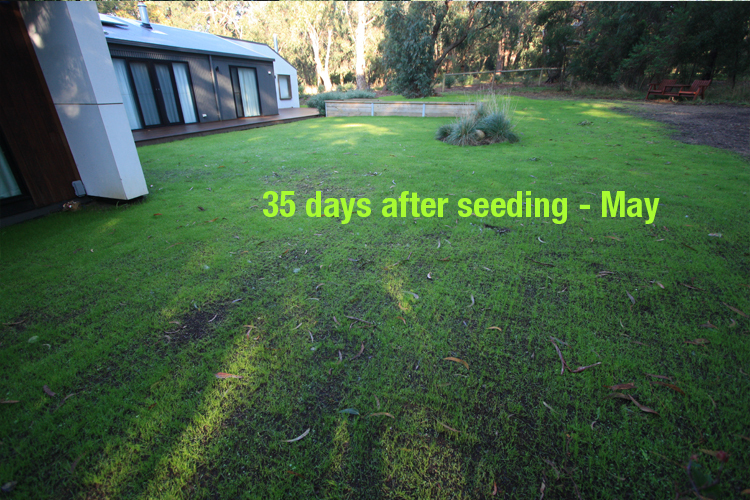 The best turf-type fine leaf perennial ryegrass examples are the stadium ovals used by the AFL in Melbourne, Geelong, Adelaide, Launceston, the VRC racetracks, Lord’s cricket ground and Wimbledon. 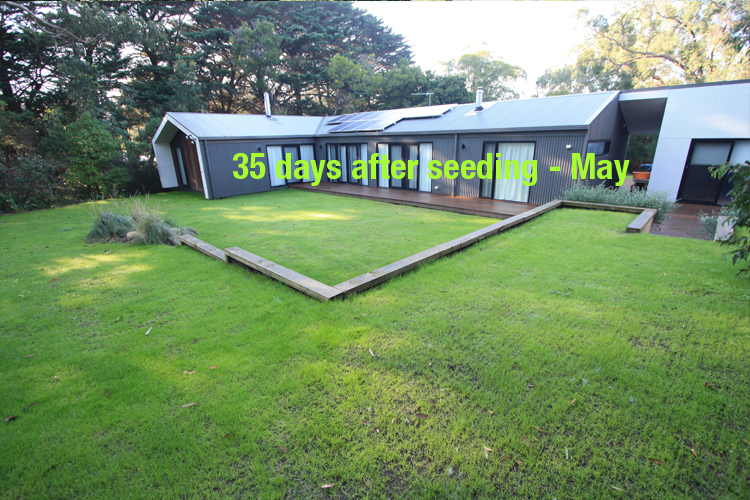 In just 5 to 12 days from drilling lawn seed, your tired old lawn will be renewed with dense vibrant coloured fine leaf perennial turf grass. 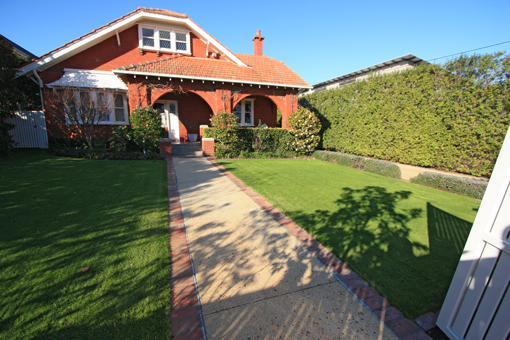 You can retain stunning lawn cover for at least 10 months, and over summer into the following year with strategic watering and a little care. Our Turf reseeder™ accurately drills lawn seed into and under existing lawn and bare ground for ideal seed-soil contact and seed wet-up, resulting in dense and uniform establishment. 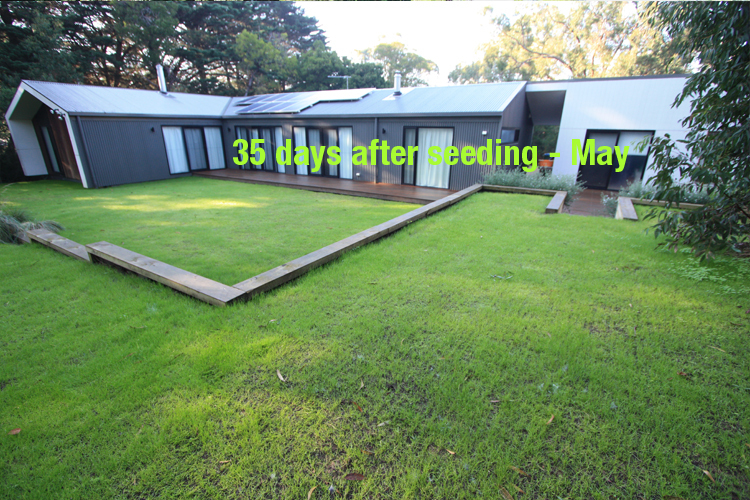 Vertical blades slice into existing lawn, creating a slice opening; depositing and securing seed at correct depth and rate, with minimal lawn disruption or soil tillage. 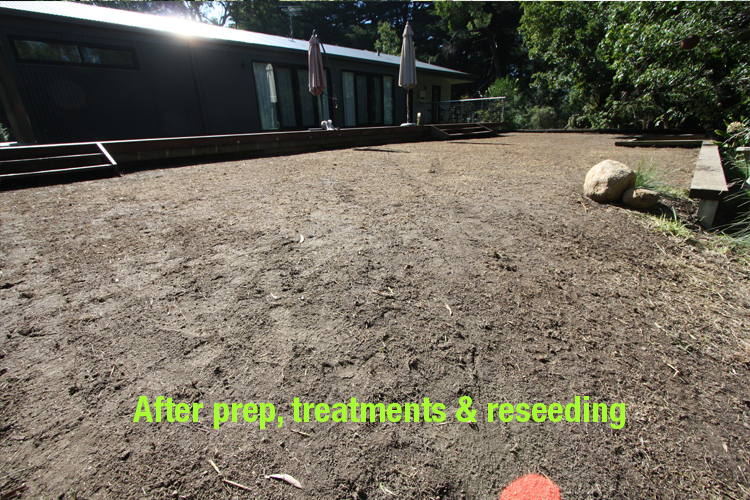 Minimal soil disturbance ensures resident weed seeds remain dormant and weed germination is minimal. 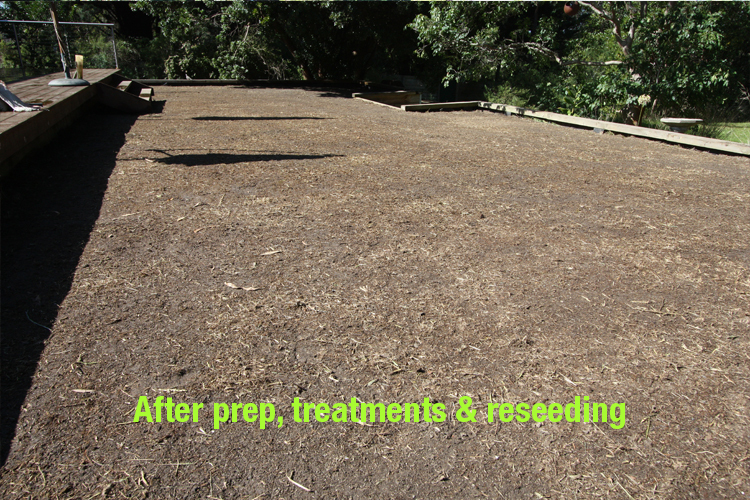 Turf seed is well covered, protected from birds and flotation; and is mostly free from weed seed competition. a. with knockdown weed control. 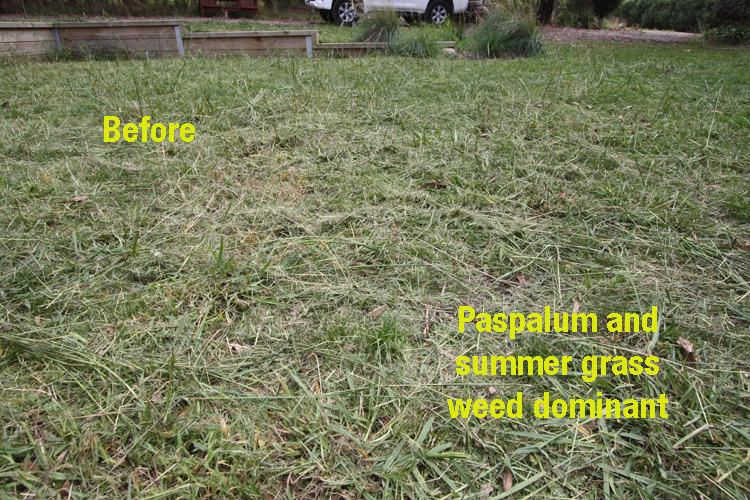 The most prevalent are lawns with sparse warm season grass base, dominant with annual summer or wintergrass weeds and broad leafs. 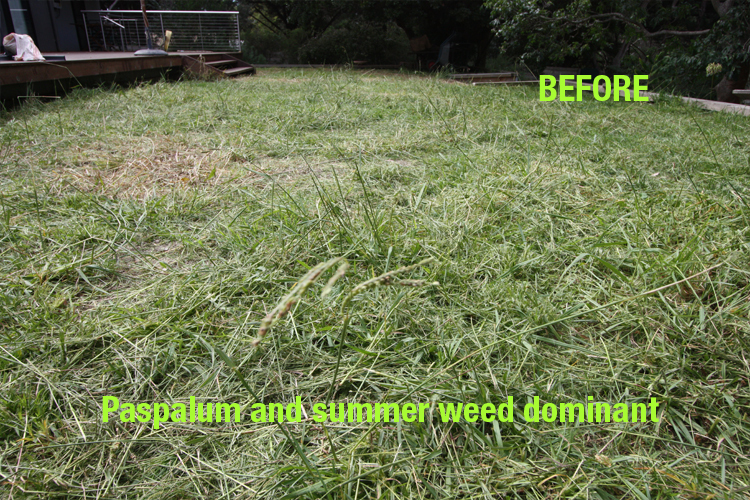 With nothing worth keeping, total knock down weed control is the best option. 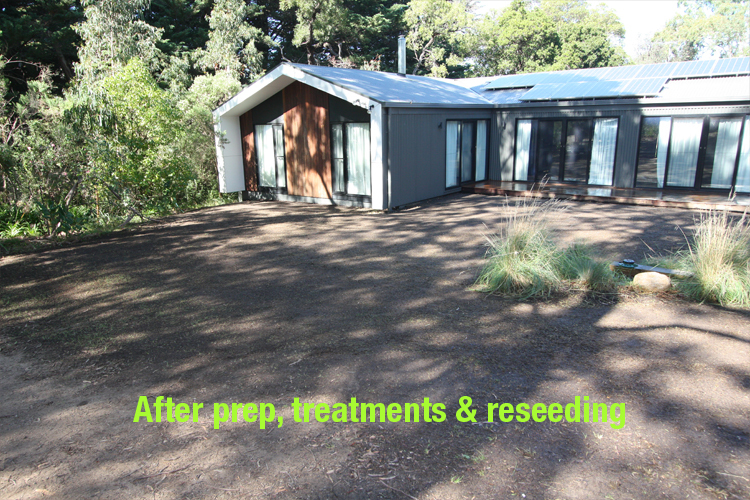 After reseeding, the result is a stunning lawn transformation. 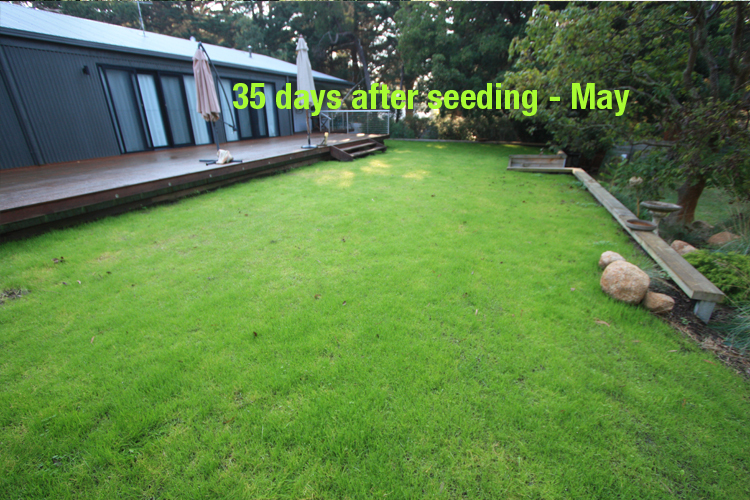 Ryegrass lawns can be easily assisted for longevity. During hot mid to late summer, frequent short waterings are required. Budget on $3 to $6 per week (SE Water) for watering 10-20mm. 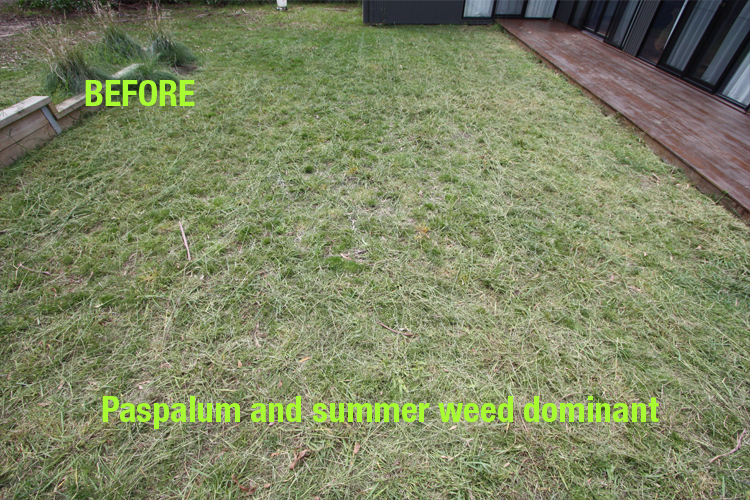 If the lawn has regressed through late summer, an option is to remedial oversow the following autumn, to thicken up the grass population. 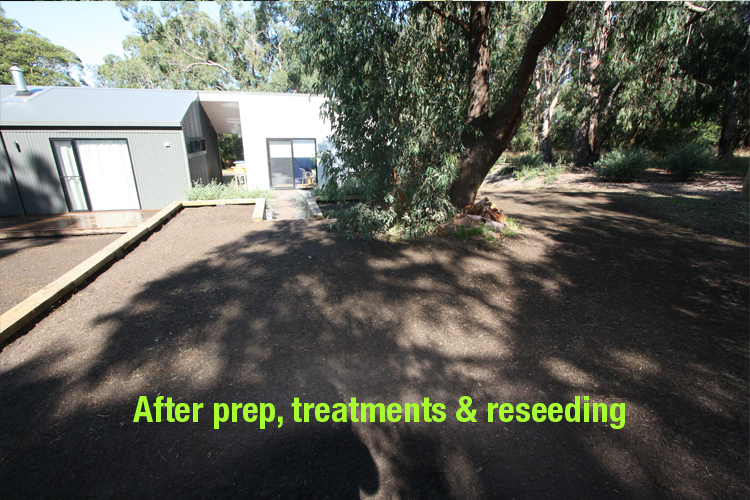 If required the fee for remedial oversowing is a fraction again of the initial lawn renovation and may well be covered under warranty.